Seoul, a rising fashion center of the world, held its Fashion Week this year to provide Asian designers with the chance to showcase their works. From street to runway, fashion dominated each conversation, and Fashion Week was filled with celebrities, models, bloggers, and just regular citizens and tourists. Keep reading this article to see a quick recap of some of the most notable looks of the week. If you have the time, check out MODA's European and New York Fashion Week recaps as well! Though founded way back in 2009 by Jae Hyun Kim, Lucky Chouette is one of the rising brands in Korea, worn by citizens and celebrities alike. Known for their youthful, playful silhouettes, Lucky Chouette continued with this vision for their latest collection. In sleepwear, dresses, and comfort clothes, the brand attempted to stay true to its unique vision while still presenting accessible and wearable designs. The runway was lighted with airport lights in order to stick with the theme of Bon Voyage! The use of accessories like travel bags and sunglasses also helped to polish off the looks. 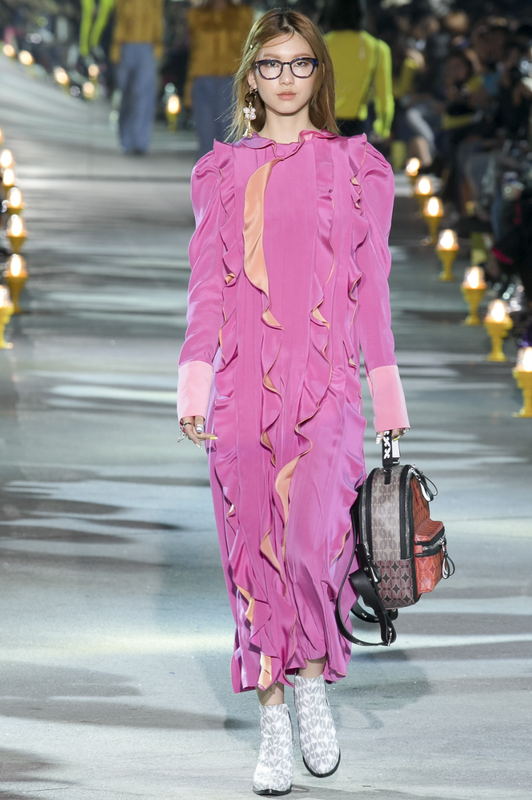 Almost a complete turnaround from Lucky Chouette's bright palette and vision, J Koo, founded in 2010 by Jinwoo Choi and Yeonjoo Koo, recreates and repossesses the popular separates trend looks. What makes the collection unique is the use of feminine fabrics like lace and prints on athletic silhouettes, combining both feminine and masculine aesthetics. Additionally, many of the colors are muted and more easily wearable on a day to day basis than some of the other looks showcased at Fashion Week. This focus towards simplicity is further heightened by the design of the runway itself with no designs or accessories. SJYP are the initials of the founders Steve Yang and Yoni Pai. A very new brand, established in 2014, SJYP attempts to convey childhood freedom through their pieces. The set itself is designed as if the models were going through a playground set, again harkening to the themes of past. Known for their denim work, SJYP used wearer-friendly fabrics to create looks that you could easily pair with other pieces in your closet. By having fly away hairs in pony tails, they were able to recreate the finish of hair after playing at a playground for a long time. As a whole, the collection was whimsical and unstructured. Founded in 2009 by Hongbum Kim, Cres E. Dim. pushes the limits of fashion by using a Korean art duo Bang & Lee's 2005 exhibition, "Cirque," as their inspiration. Cres E. Dim. attempted to capture the duality and facade of circus life by using bright colors and built-in-structure within the outfits themselves. The runway was decorated with large, bright shapes similar to the circus stands you would see in the ring, staying true to the inspiration. All the female models' hairs were bob cut with bangs harkening to the odd uniformity of the circus. By keeping it simple and black, it also allowed the outfits to really be a center point and even serve as a contrasting point to the bright outfits. Founded in 2008 by Taeyong Ko, Beyond Closet mainly focusses on elevating menswear. With quirky prints and designs, Ko brings a touch of creativity and interest to an otherwise mundane set of clothing. For this collection, he was inspired by "bromance, or a boys' night out in Seoul." And the romantic touches juxtaposed with the masculine cuts brought this dream to life. The runway was simple and industrial with a grey carpet and no outlandish decor, putting all the attention on the clothing itself. As a Korean-American, I am amazed to witness the rise of Asia as a fashion center. In media, there really is not much diversity. However, by locating fashion weeks in cities like Seoul, the Asian perspective and community is being embraced and shared. On top of that, by casting models with distinctly Asian features, designers are helping to change the standard of beauty. They prove that there really is no "pure" or "true" interpretation of beauty or of being fashionable. Of course, the scale is quite different from the fashion weeks in Europe or in New York, but it is a good start. Fashion, too, is distinctly different in Asia. 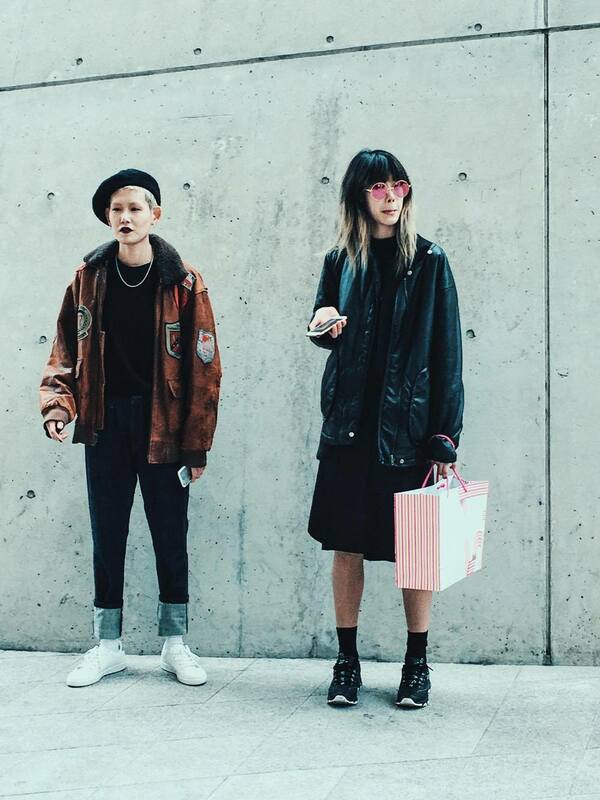 A popular trend that is taking over the fashion scene in Korea is androgyny, a critique or a straying away from the strict gender roles that are enforced in many East Asian societies. Fashion week attendees crowded the streets in culottes or collared shirts. Baggy and oversized jackets or sweaters was another popular choice. Many show-goers also spruced up their outfits with the use of accessories like hats, sunglasses, and statement earrings to complete their looks. What are some of your favorite looks from Seoul Fashion Week? Let us know in the comments below!